Congenital diaphragmatic hernia (also known as CDH) is an abnormality that occurs before birth as a fetus is forming in the mother's uterus. The specific defect is an opening or whole in the diaphragm (the muscle that separates the chest cavity from the abdominal cavity). With this defect, some of the organs that normally are found in the abdomen move up into the chest cavity through this abnormal opening. In cases where CDH is the only health problem in a baby, there is a 98 percent chance that this abnormality will not occur in a future pregnancy. CDH occurs in approximately 1 in every 3,500 to 5,000 babies. The lungs are developing at the same time as the diaphragm and the digestive system. A diaphragmatic hernia allows abdominal organs to move into the chest cavity rather than remain in the abdomen as they are developing. With the heart, lungs and abdominal organs all taking up space in the chest cavity, the lungs do not have space to develop properly. This underdevelopment of the lungs is called pulmonary hypoplasia. A CDH is a life-threatening abnormality. When the lungs do not develop properly during pregnancy, it can be difficult for the baby to breathe after birth. Healthy lungs have millions of small air sacs (alveoli), which resemble a balloon filled with air. 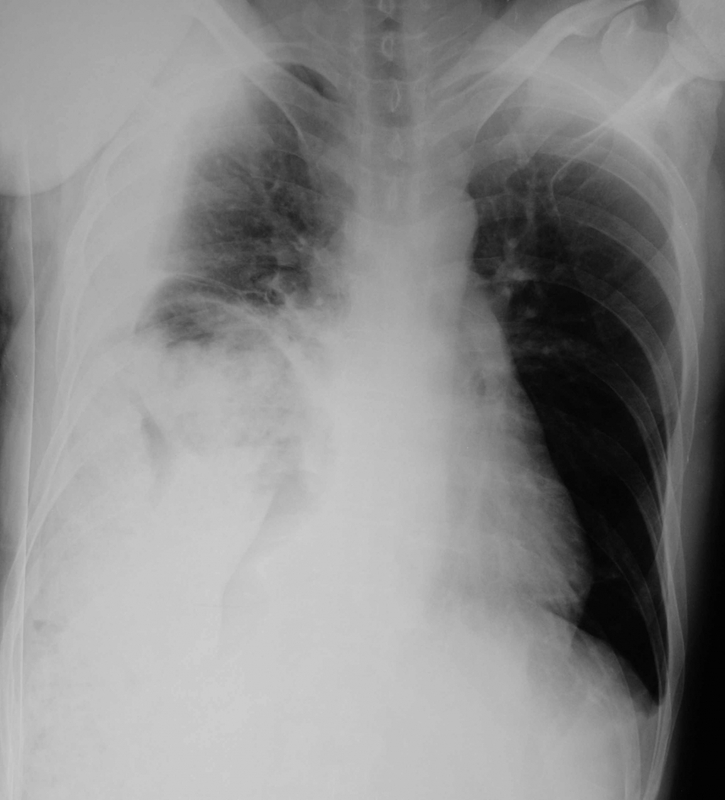 With pulmonary hypoplasia, there are fewer air sacs than normal, the air sacs that are present are only able to partially fill with air, and the air sacs deflate easily due to a lack of a lubricating fluid called surfactant. When these conditions are present, the baby may be unable to take in enough oxygen to stay healthy. CDH often is identified during a routine ultrasound (HYPERLINK) of the baby before birth. If diagnosed, the severity of the defect and other problems can be determined by further ultrasounds or imaging tests such as an MRI. In a small number of centers around the country, a fetal therapeutic or CDH team can evaluate the baby before birth to discuss treatment options. In some cases, however, CDH is not seen on ultrasound and babies are diagnosed only after birth. The symptoms of diaphragmatic hernia may resemble other conditions or medical problems. Always consult your baby's physician for a diagnosis. After birth, your baby's physician will perform a physical examination. A chest x-ray is done to look at the abnormalities of the lungs, diaphragm and intestine. A blood test known as an arterial blood gas is often performed to evaluate the baby's breathing ability. Most babies with a CDH are transferred to a hospital with a neonatologist (specialist in newborn babies) and a pediatric surgeon (specialist in surgery of children). Specific treatment will be determined by your baby's physician based on many factors unique to your baby. Infants with severe problems may need to be placed on a temporary heart/lung bypass machine called ECMO. ECMO is available at specialized centers and does the work that the heart and lungs would be doing: putting oxygen in the bloodstream and pumping blood to the body. ECMO may be used temporarily while a baby's condition stabilizes and improves. When the baby's condition has improved, the diaphragmatic hernia will be repaired with an operation. The surgery to repair the diaphragm is not an emergency and it is important that your baby is as stable as possible before surgery; this may take days to weeks. Some babies will have difficulty growing. This is known as failure to thrive. The children with the most serious lung problems are most likely to have growing problems. Because of their illness, they often require more calories than a normal baby in order to grow and get healthier. These babies may require a feeding tube to provide the nutrition necessary for growth. Often babies will have gastroesophageal reflux. Acid and fluids from the stomach move up into the esophagus (the tube that leads from the throat to the stomach), and can cause heartburn, vomiting, feeding problems, or lung problems. This condition is usually controlled with medications prescribed by your child's physician. Occasionally, babies need additional surgery to treat their reflux disease.